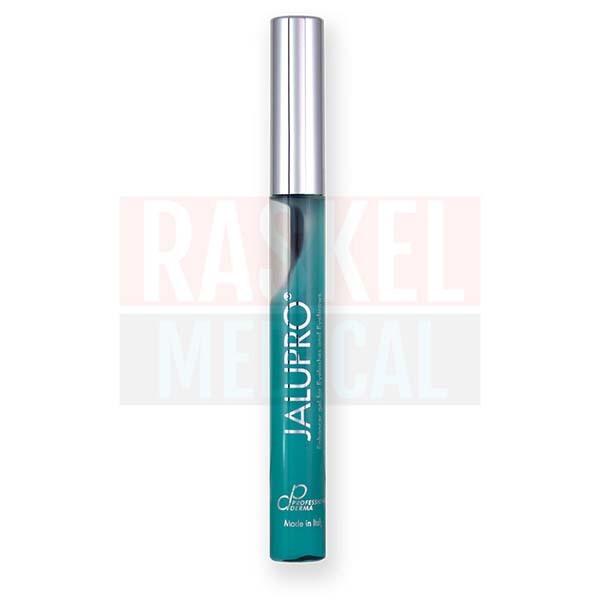 Jalupro Enhancer Gel is a treatment gel used to thicken eyebrows and eyelashes. It is rich in red clover extract (Trifolium Pratense) and acetyl tetrapeptide-3 to boost hair growth and prevent hair breakage by fending off free radicals and toxins. With regular uses, patients can enjoy fuller brows and lashes. What is Jalupro Enhancer Gel formulated to do? Hair is a biological polymer made of protein molecules like keratin and melanin. While keratin provides structure to hair, melanin colors the hair as signaled by genetic makeup. The growth of hair fibers is regulated by the hair growth cycle, which includes the anagen, catagen, and telogen stages. If the first anagen stage is sustained, hair will grow long. The other two stages are when hair follicles drop off to make way for new follicles to grow. Most often than not, factors like aging and friction can weaken the follicles, resulting in hair breakage. Jalupro Enhancer Gel is created to nourish the follicles and protect them from external aggressors. Red clover extract is rich in isoflavones and serves as an antioxidant, while acetyl tetrapeptide-3 promotes better collagen synthesis. As a result, eyebrows and eyelashes become fuller and more alluring. 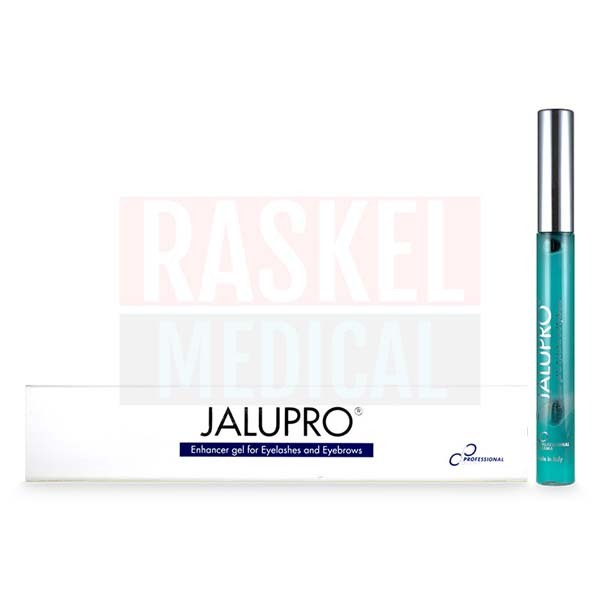 Jalupro Enhancer Gel is manufactured by Professional Derma SA, a European aesthetic company. This gel is manufactured in Europe. Patients may experience side effects, like eye irritation, if the gel accidentally comes into contact with the eyes. This gel may darken the hair. This enhancer gel is formulated for patients suffering from thin, sparse, and delicate eyebrows and eyelashes. As well, those who are experiencing breakage of the eyelash and eyebrow hairs can benefit from this gel. This hair-strengthening gel has two main ingredients: red clover extract and acetyl tetrapeptide-3. Together they boost hair fiber growth and strengthen the hair follicles to reduce breakage. The enhancer gel tube is designed to be similar to mascara with a brush applicator. A single tube holds 9ml of hair-strengthening gel. The manufacturer, Professional Derma SA, has manufactured other aesthetic products such as biorevitalization solution (Jalupro HMW) and hydrating facial masks (Jalupro Masks). These products are intended to boost the structure and appearance of the skin by introducing hyaluronic acid. Patients must make sure that there is no makeup (e.g. mascara, eyeliner, eyebrow pomade) present before applying the enhancer gel. Patients can then apply a sufficient coating of gel along the lower and upper lash line and the eyebrows. They can wear their desired makeup on top of dried gel. As part of intensive treatment during the first month, patients should apply this gel twice daily, every morning and evening. Then, they may taper down to a once-daily application during maintenance period. This hair-enhancing gel is made of red clover extract. This plant is renowned for its rich quantity of Biochanin A Isoflavones, which is a potent antioxidant. The isoflavone protects the hair fibers from getting bombarded and weakened by free radical damage. Besides that, acetyl tetrapeptide-3—a type of protein molecule—stimulates collagen production and strengthens the hair follicles. This leaves your patients with fuller lashes and brows for a fresher appearance. 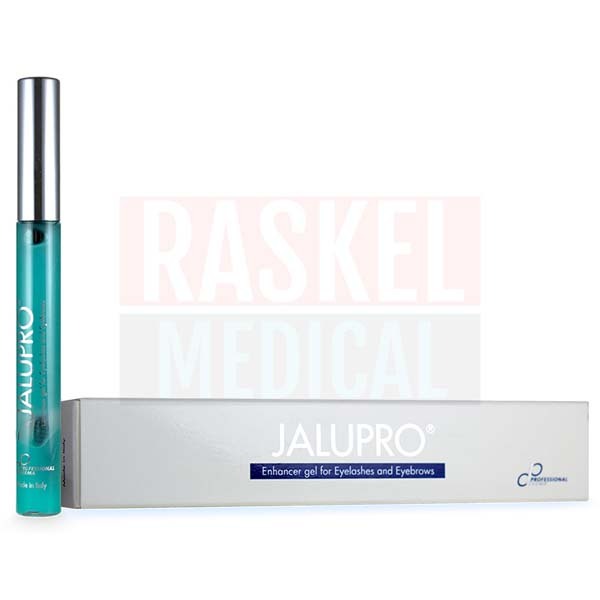 A box of Jalupro Enhancer Gel comes with a single 9ml prefilled tube with an applicator brush and a product information pamphlet. Patients should be able to notice increase in length and thickness of eyebrows and eyelashes within 2 months following first application. The effect will last for as long as the gel is used. Please store this enhancer gel at room temperature. Keep out of reach of children. 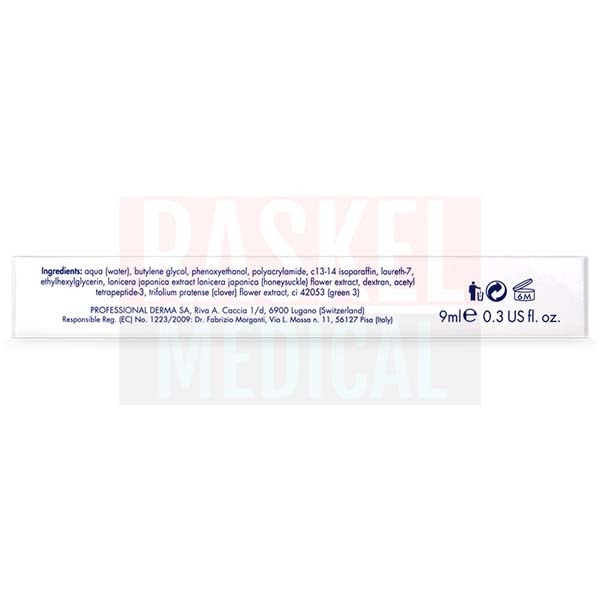 This gel can be used by the patient at home. Refer to the product insert for more information regarding the shelf life. Do not use this product past the specified expiration date.